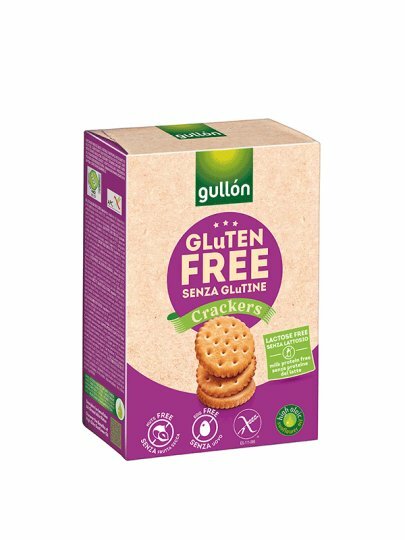 Biscuits made from gluten-free raw materials. Suitable for celiac brewers, without gluten, no nuts, no eggs. Ingredients or additives derived from genetically modified organisms (GMOs) are not used in the preparation. Store in a dry and cold place, protected from sunlight. corn starch, corn flour, vegetable oil (sunflower high oleic oil) 14.5%, glucose and fructose corn syrup, potato starch, rice starch, sugar, salt, dough remover: sodium and ammonium bicarbonate, emulsifier: soy lecithin.